Since I just returned from a food-filled trip to Cleveland, I thought it would be a great time to share some of my favorite foods from there. Believe it or not, Cleveland actually has some great restaurants and hidden gems! 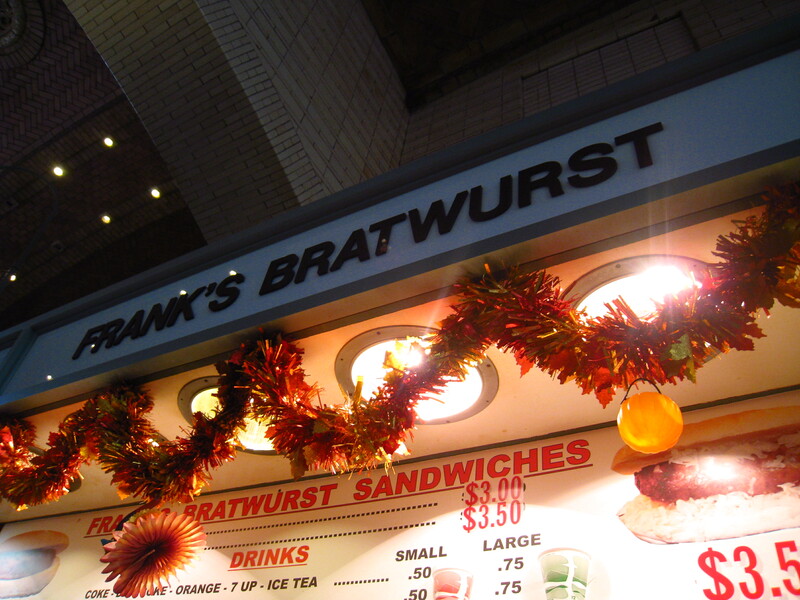 Below are some Cleve-treats from some of my favorite spots. 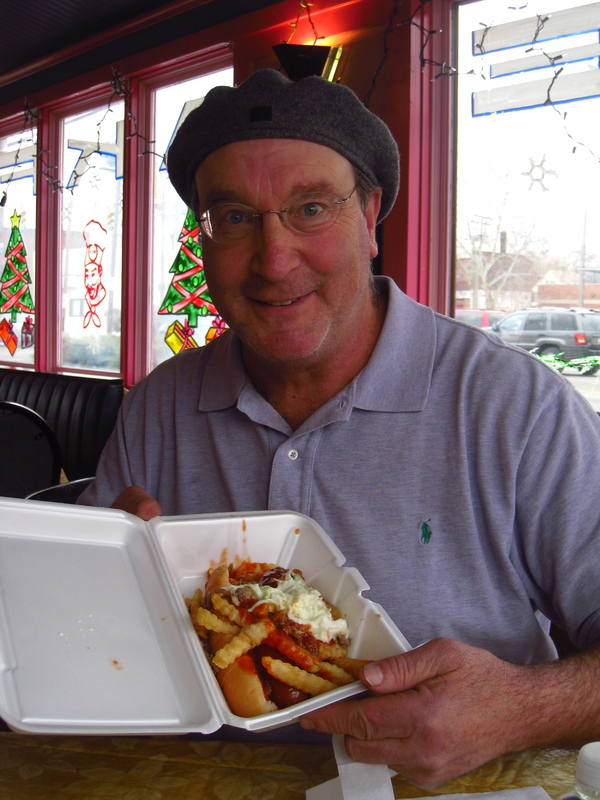 Lucky’s Cafe, located in the Tremont neighborhood, has been featured on Diners, Drive-ins and Dives. They make all of their ingredients in house. 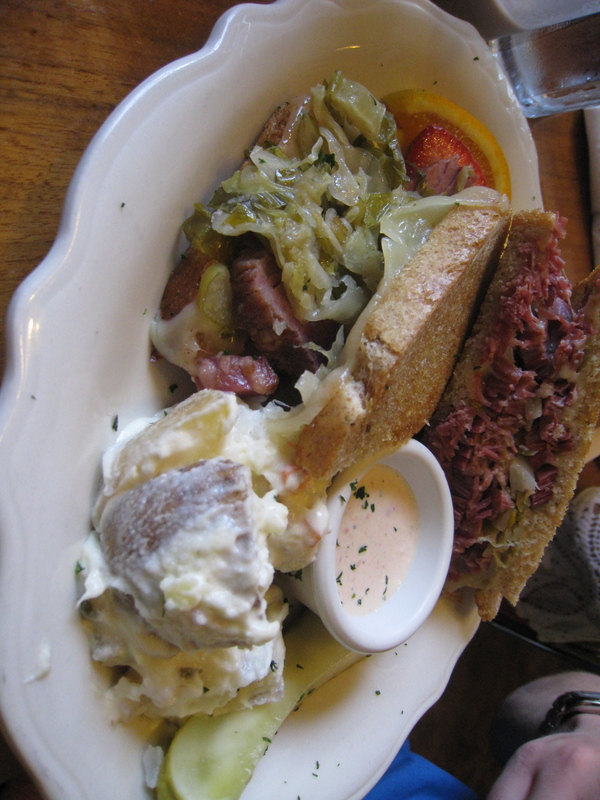 Gareth ordred this amazing reuben sandwich featuring all house made ingredients: corned beef, sauerkraut, rye bread and thousand island dressing, served with Swiss cheese, potato salad and a pickle. 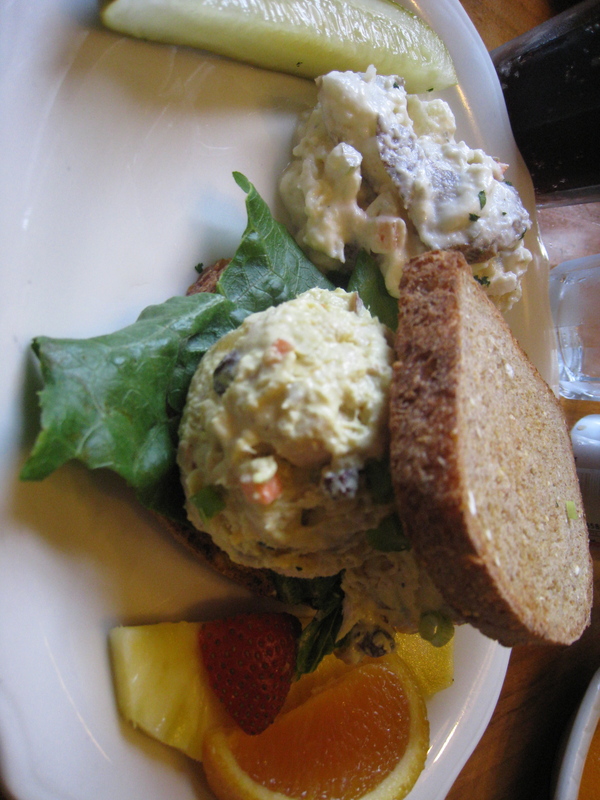 I ordered this simple yet yummy curried chicken salad sandwich with a hint of curry and raisins. It came with a side of potato salad and a dill pickle. Hot Sauce Williams has been featured on Anthony Bourdain’s No Reservations as well as Man vs. Food. When you’re there, you should order what they’re known for: Po’ boy with shoulder meat. 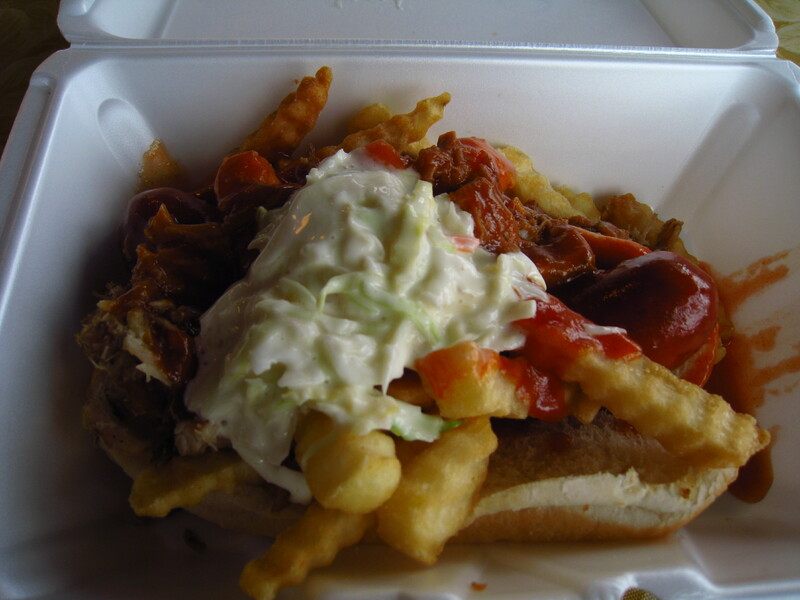 This includes a bun, Polish sausage, bbq shoulder meat, bbq sauce, fries and coleslaw. Whenever I go to visit Cleveland, I have to go to Tommy’s. It’s my all-time favorite! 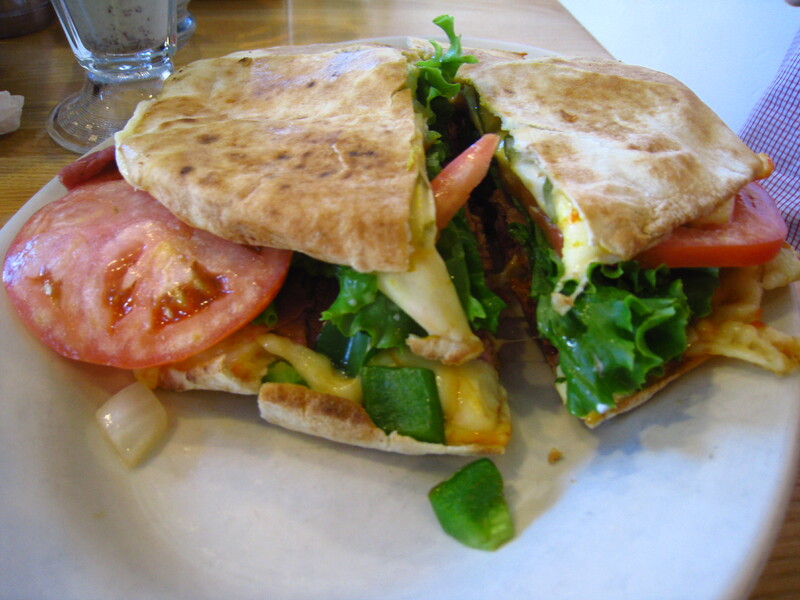 Tommy’s has been around since 1972 and makes all sorts of amazing creations including lots of vegetarian options. 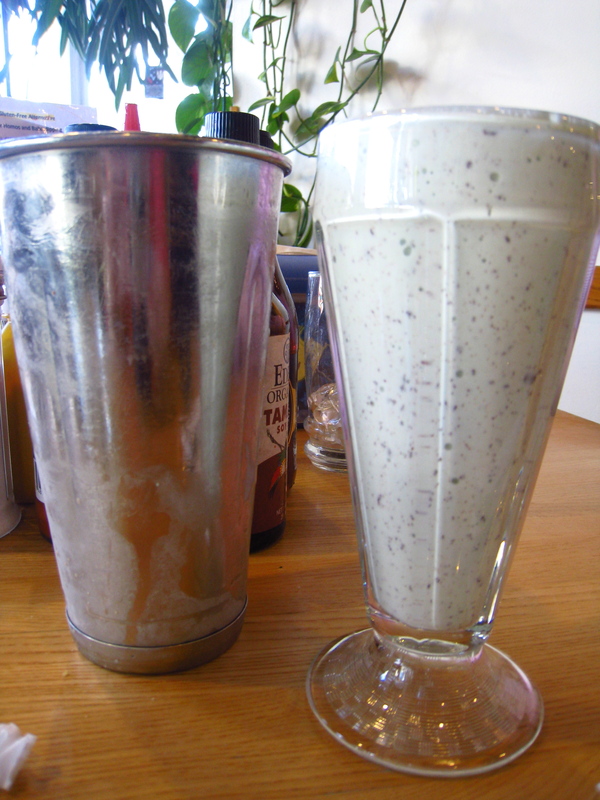 When you go to Tommy’s, you must order one of their famous milkshakes. 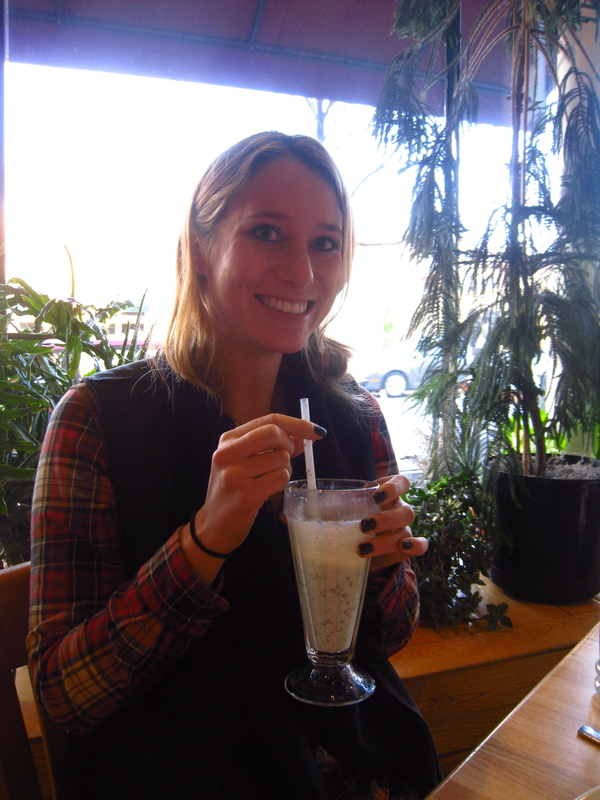 I went with Gareth and my friend Maggie who both ordered mint chocolate chip milk shakes. 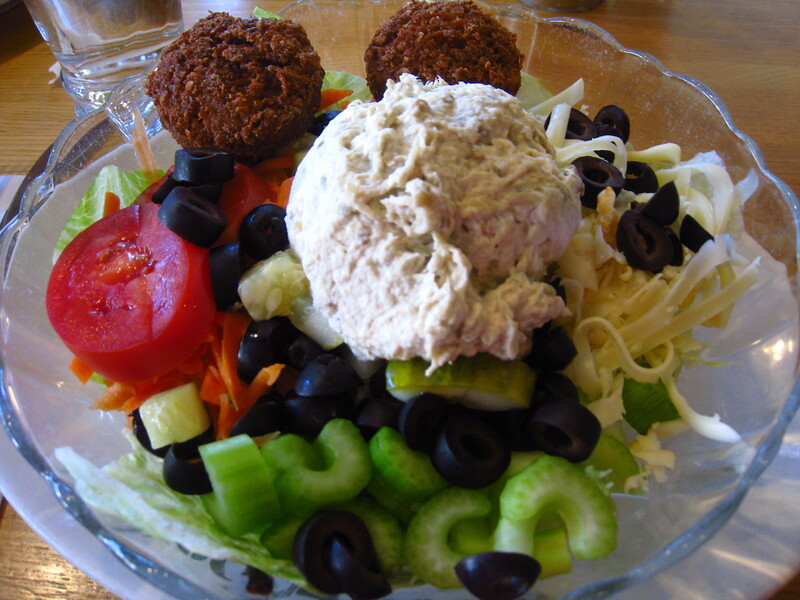 This is my usual salad order, The Dave, which has babaganoush, black olives, shredded munster cheese, carrots, celery, tomatoes, pickle, and I substitute falafel for the egg. Mmmmm, so good! 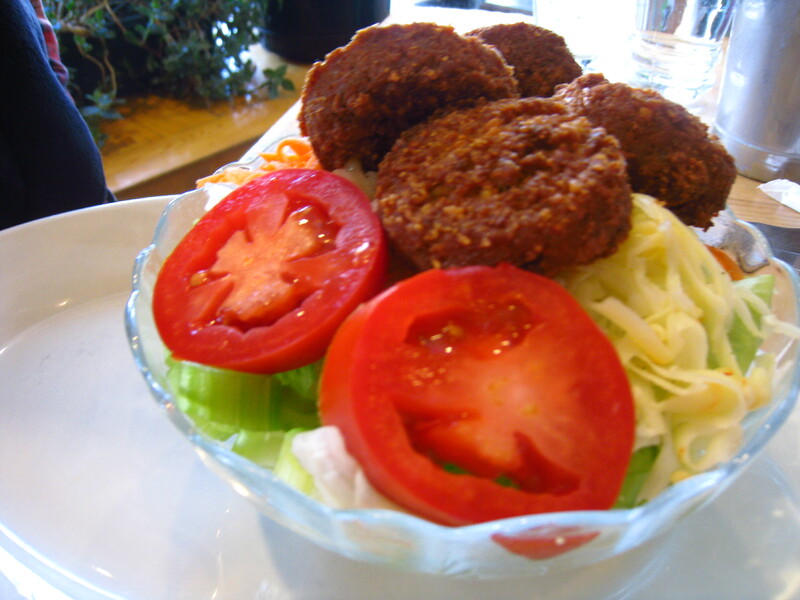 This was Maggie’s salad, The Dale, which comes with falafel, munster cheese, tomatoes, celery and carrots. 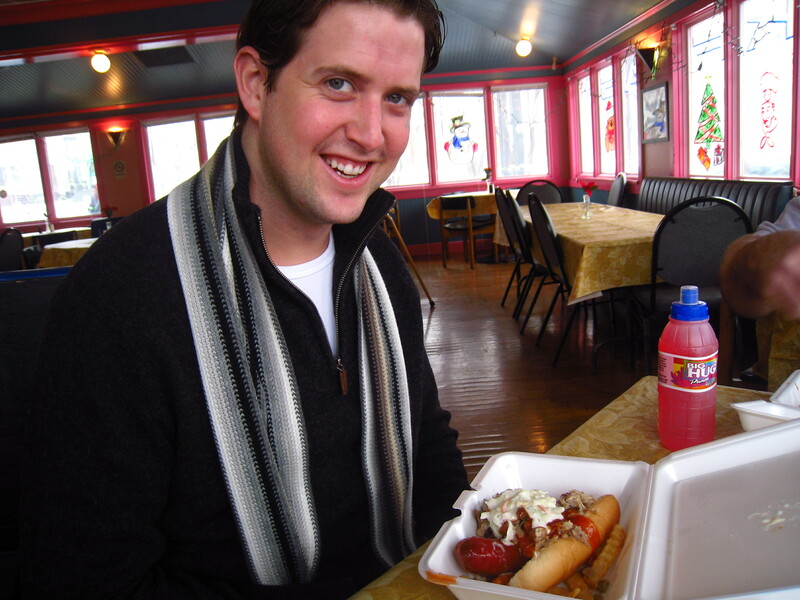 Gareth ordered The Big Bear, which is corned beef with BBQ sauce, pickles, veggies, onions, mustard and cheese on toasted pita bread. 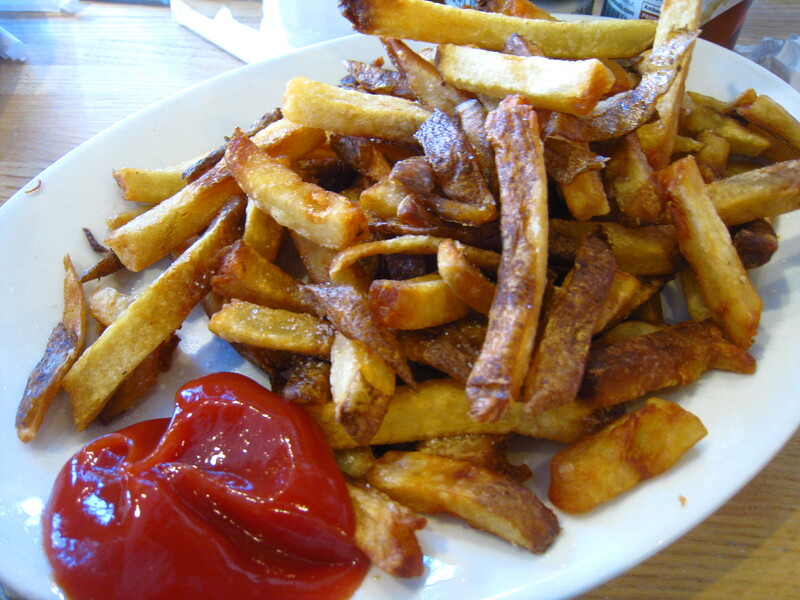 Their french fries are fresh made and are a must-have! The portion is massive, so get a plate to share with the whole table. Naturally, I always order a pickle on the side. 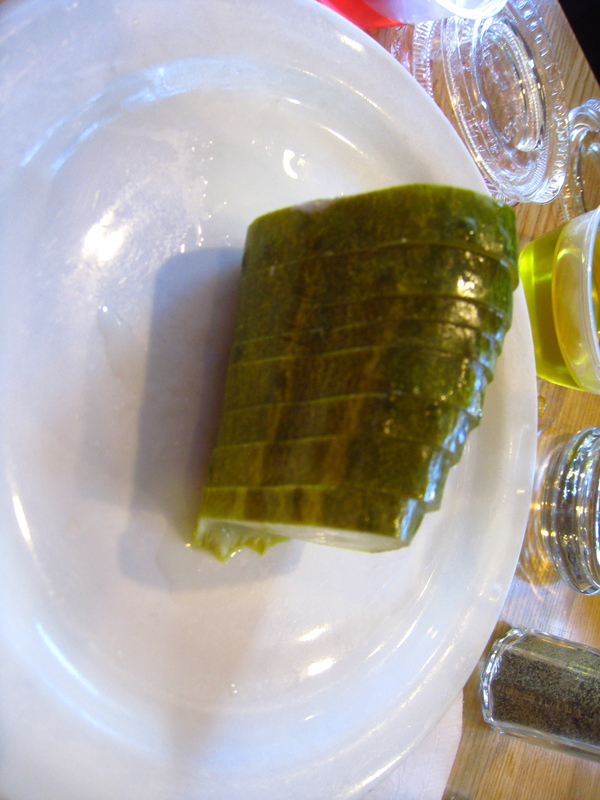 Tommy’s has the BEST pickles! Lopez, which makes cutting-edge Mexican cuisine, is one of my mom’s favorite restaurants and is just a short walk from the home I grew up in. 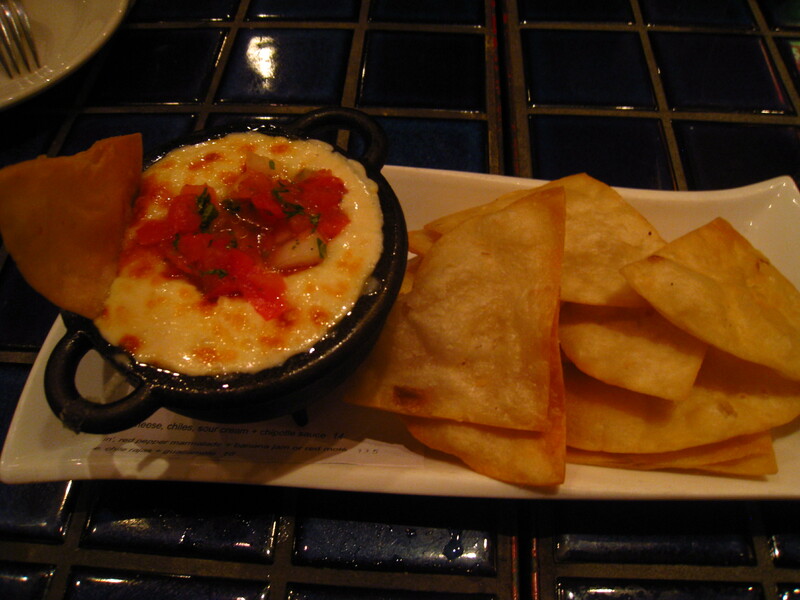 We started out our meal with this appetizer, goat cheese fundido, made with goat cheese, house made chorizo and pico de gallo, and served with fresh- made flour chips. It’s very rich so definitely share with the table! 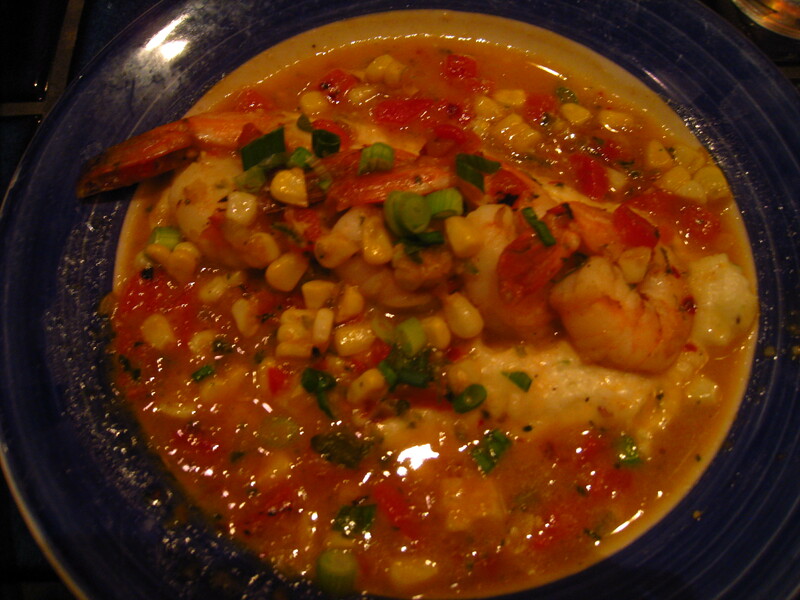 Gareth ordered shrimp’n’grits, which is made with corn, chile grits with smoked cheese, roasted peppers and scallions. My mom loves the calamari at Lopez. 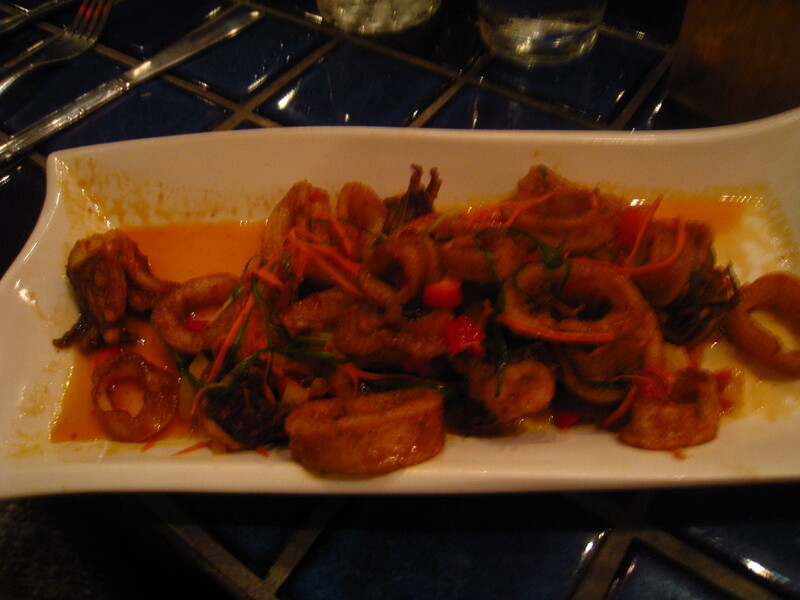 The calamari is sautéed in a sweet and spicy sauce with carrot thread, scallions and peppers and then dusted with cumin chile. I ordered three of their tacos, which I didn’t know were so enormous, so these were definitely shared with the table! The first taco on the left featured butter poached lobster, bacon, arugula, smoked tomato and guacamole. 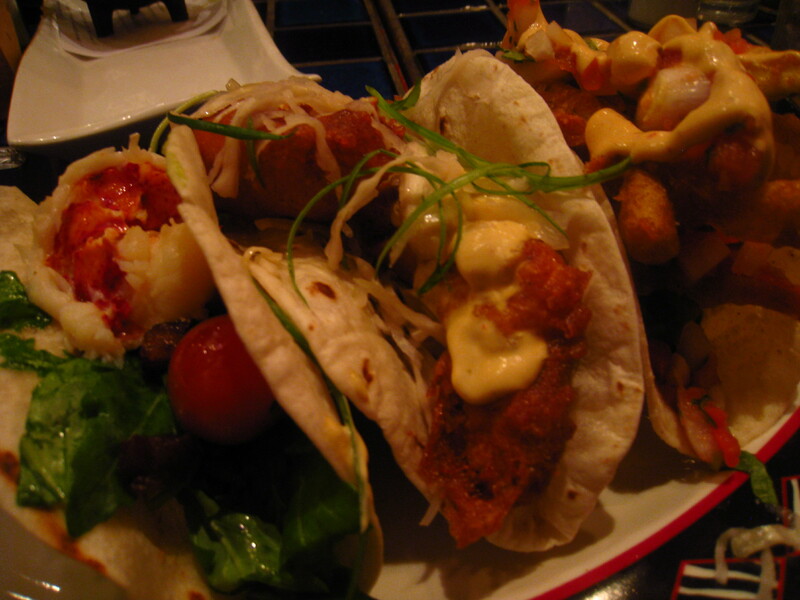 The middle taco was ancho battered catfish, jicama slaw and gaucho crema. 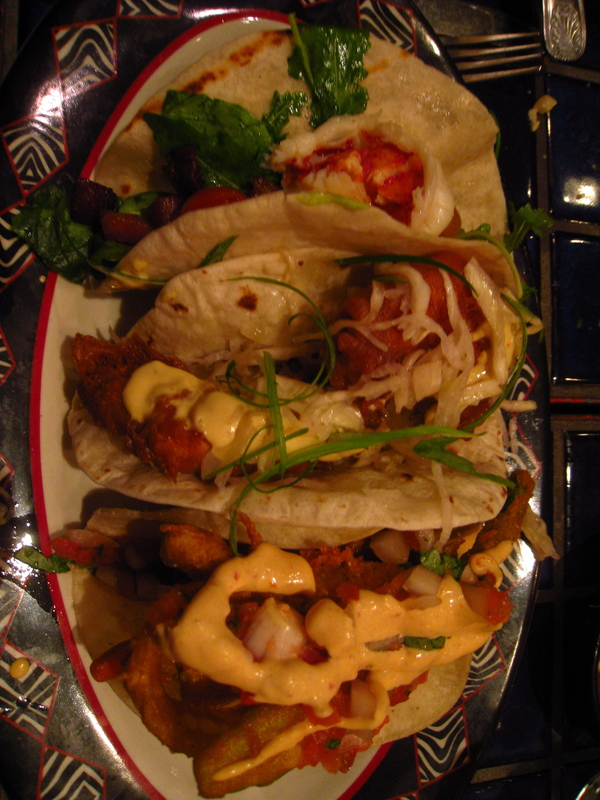 Lastly, the taco on the right was made with tempura vegetables, green chiles, pico de gallo and chipotle crema. Amazing! 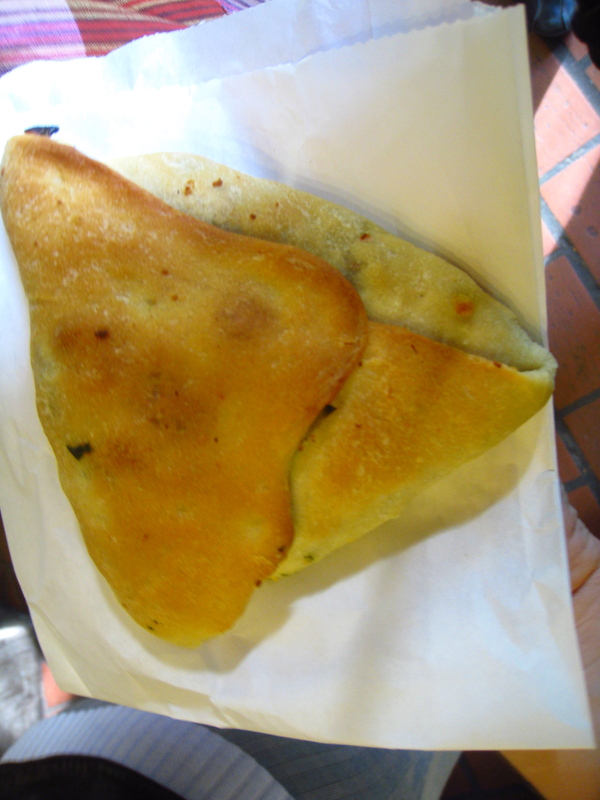 Crepes de Luxe is located in Cleveland’s West Side Market. 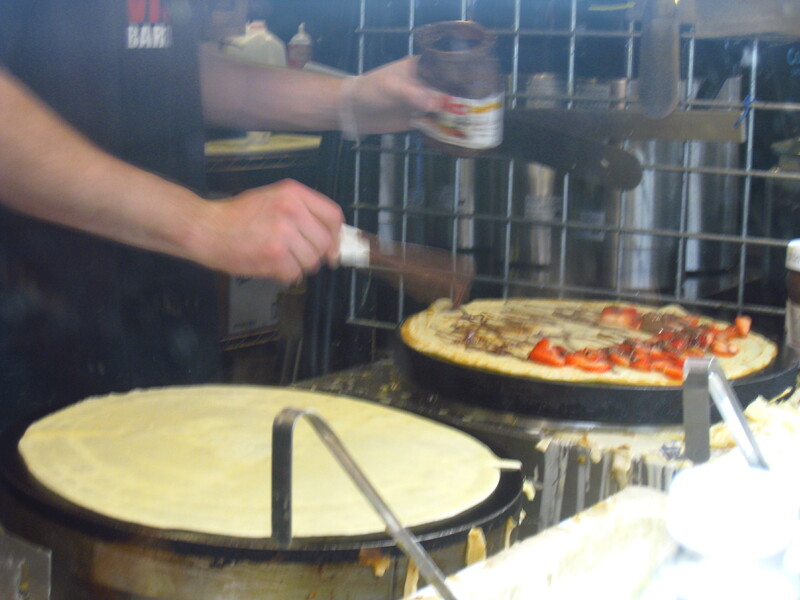 Gareth loves to get one of their yummy crepes when we visit the market. 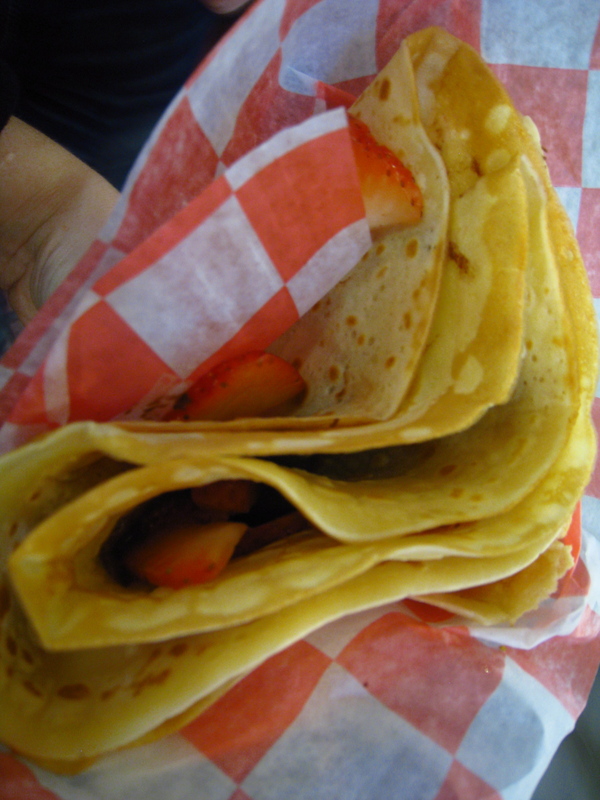 This crepe was made with Nutella, dark chocolate and fresh strawberries. They make it right in front of you and serve it up piping hot. 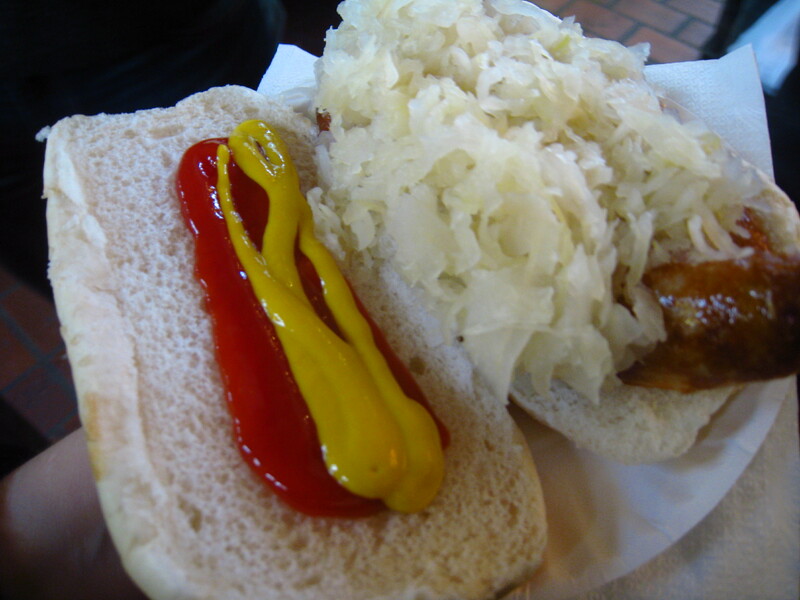 Frank’s is also in the West Side Market been serving their homemade bratwurst sandwiches since 1970. 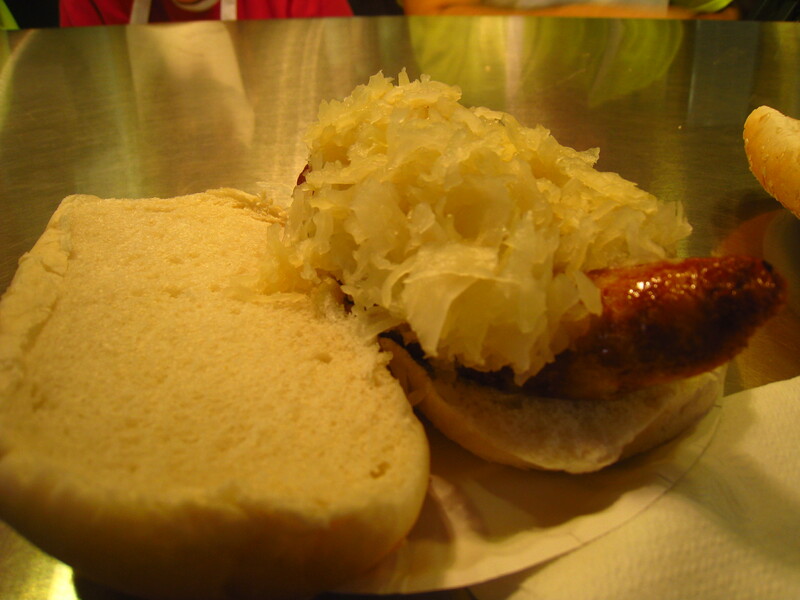 You have two options at Frank’s: with or without sauerkraut and a hard or soft bun. Simple and delicious, you can’t go wrong! 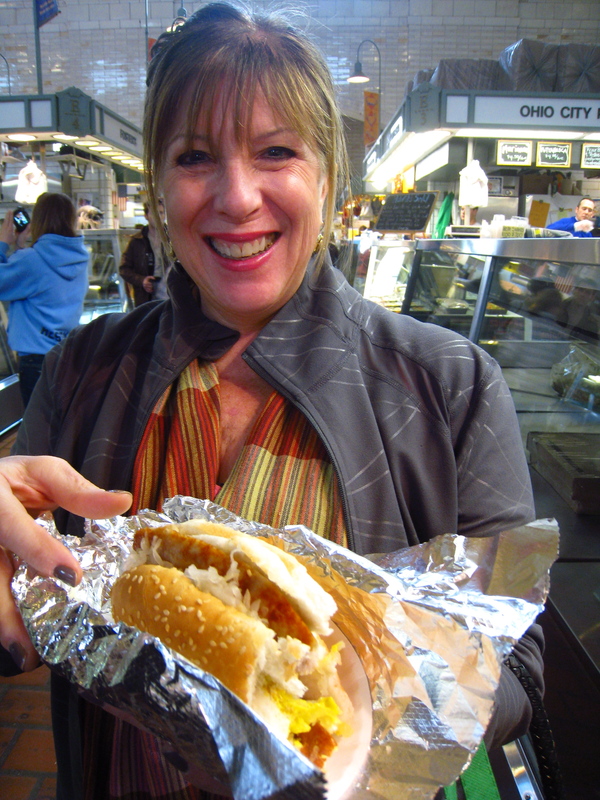 Another West Side Market treat, Judy’s Oasis, cooks up all types of Mediterranean food. 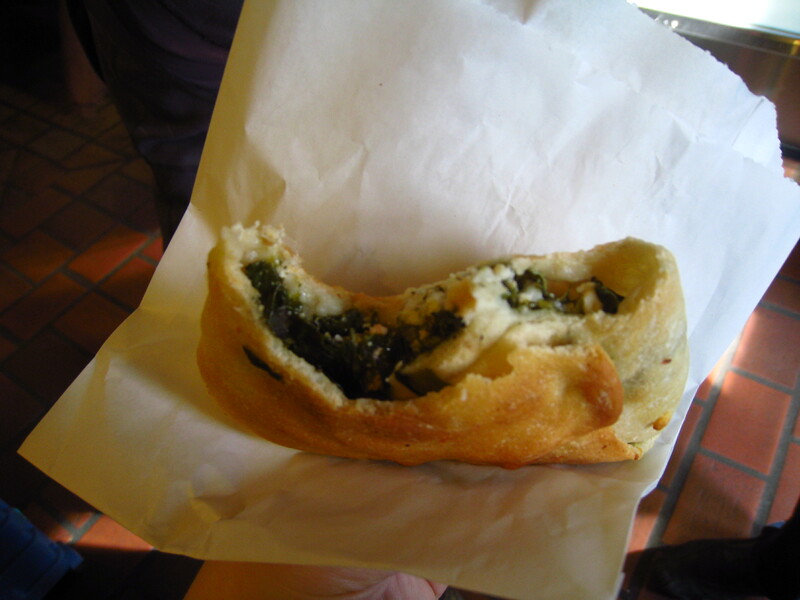 I ordered the spinach and feta pie, it was so tasty and fresh! Bets!!! 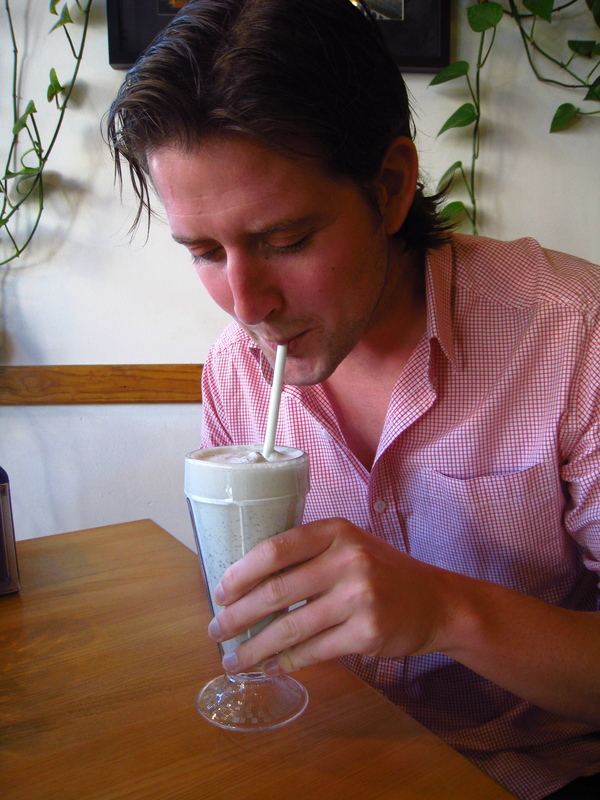 I am loving your blog – and craving all-things-Tommy’s right about now. Esp the pickle, the falafel, the date with you and Mags! I love it! I am now starving and homesick at the same time. A must-read for any Cleveland native.